Young people are often accused of lacking interest in, or being disillusioned by, politics. However, one need look no further than Jeremy Corbyn’s efforts to capture the imagination of the younger generation or the passionate response to the Brexit referendum to see evidence of our active interest in political issues. The key to sparking interest in politics in Wales is replicating such enthusiasm when discussing issues that are relevant to us here. According to recent research by the Hansard Society, Wales as a nation does not have extensive knowledge of, or interest in, political issues. More accurately, people in Wales have less knowledge of politics than any other nation in the United Kingdom. Therefore, something is needed to facilitate engagement between people and politicians to spark the new generation’s political interest. I believe, without a shadow of a doubt, that launching the Youth Parliament fulfils this aspiration. Wales is the last country in Europe to establish a Youth Parliament. Despite the delay, we are now at the threshold of a golden opportunity to contribute towards the development of democracy in our nation. One criticism regularly aimed at young people is that we have insufficient knowledge to contribute to political debate. This point is often made when debating votes at 16. The Youth Parliament provides a basis for young people from all backgrounds to develop an understanding of our nation’s politics. By engaging in the democratic process and having a platform to discuss various important topics, the hope is that the Youth Parliament will give rise to a generation of young people well-versed in politics and our democratic rights, who are empowered to have their say and to help develop policy. 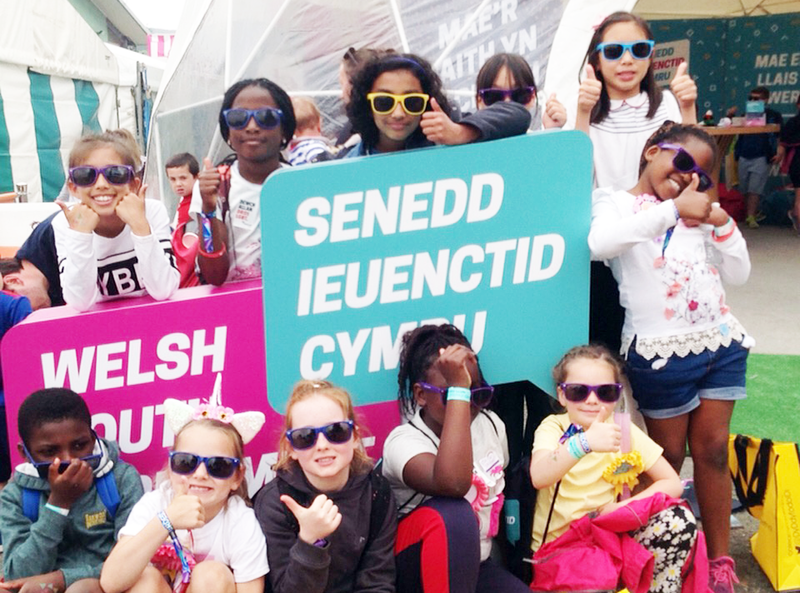 When launching the Welsh Youth Parliament at the Urdd Eisteddfod in Brecon and Radnorshire, the Presiding Officer of the National Assembly for Wales, Elin Jones, confirmed that people from all parts of Wales would be able to stand for election. There is no doubt that regional representation is a hot topic in Wales and it is vital that young people from all parts of the country have an opportunity to discuss local issues and difficulties on a national stage, and to offer new and innovative points of view. This plurality is very much needed as we seek solutions to these issues. Politicians always state that they listen to young people and appreciate their input – the Youth Parliament now gives them an opportunity to act on the younger generation’s words and aspirations. During the launch, I was able to interview the Presiding Officer and Assembly Member for Ceredigion, Elin Jones. The Presiding Officer was eager to emphasise the importance of having representatives from all corners of Wales at the Youth Parliament. A strong awareness of democracy is certainly crucial to enabling political development. However, I believe that traditional politics in Wales, and in the UK more generally, have placed too much emphasis on the political parties, rather than focusing on the debate. In the absence of party politics, members of the Youth Parliament will be able to focus unhindered on the discussions that arise, without the recklessness and drama that are the hallmark of so much current political debate. Every individual is able to make a meaningful contribution to debates that stem from their personal experiences. Elin Jones reiterated the importance of debating issues and subjects that are of interest to young people, emphasising that politicians have a duty to stimulate interest among young people. I passionately believe that the Youth Parliament is a campaign that could strengthen politics here in Wales, as well as increasing political knowledge and people’s willingness to take part in the democratic process. However, the Youth Parliament’s ability to reach its full potential is entirely dependent on politicians’ willingness to listen to young people’s ideas and implement them. “The young people elected to the first Youth Parliament in Wales must be allowed to take ownership of the issues that are important to them, and to reflect Wales in its entirety in this regard. They must be allowed to challenge us, the other parliament, and to tell us what their priorities are and where they want changes to be made. It is our responsibility to listen to their voices and to discuss their priorities." Although further work remains to be done to ensure that the Youth Parliament operates effectively, the early signs are promising, with a decision to provide a digital registration and voting facility. This innovative step sets a new precedent for democracy in Wales and is an encouraging sign that the Youth Parliament recognises young people’s habits and is willing to tailor its activities to ensure that every young person has access to registration and voting. I foresee that the Welsh Youth Parliament will play an important role in increasing interest in politics among young people, as well as strengthening the political foundations of our nation. The vital challenges to ensuring the Parliament’s success will be making sure that voices across Wales are clearly heard, and that the collaboration and discussion are reflected in the Assembly’s own activities and legislation. In the words of the moralist Joseph Joubert, “The aim of argument, or of discussion, should not be victory, but progress”. The Welsh Youth Parliament, therefore, has an opportunity to transform democracy in our nation.